I am proud to be a follower of Christ. However, it disgusts me when people use the banner of Christianity to manipulate the masses for personal gain. From the “church” that terrorize mourners at funerals with hateful and homophobic slurs, to the “pro-lifers” against police reform and gun control, we live in a world full of oblivious and unashamed hypocrites. This is more of an observation than a judgment since (1) I’m not perfect, and (2) God is the ultimate judge, but what I am sure of is that not everyone that claims to be full of Christ’s love is being honest. In addition to religious extremists, there are vultures disguised as men and women of the cloth that manipulate and twist Bible scriptures in order to maintain their pursuit of personal power and/or wealth. These are the false prophets described in Matthew 7:15 as wolves in sheep’s clothing. Most find their success in the “prosperity gospel“, a belief that your finances will be increased if you sow your money into a particular ministry. While God did call us to live “life more abundantly” (see John 10:10), this has to do more with your heart posture than your pockets. People fall for these tactics, sometimes even endangering themselves and their livelihoods to give their assets to people and entities that couldn’t care less about them. I’ve witnessed it both personally and in the media, and frankly it makes me sick. 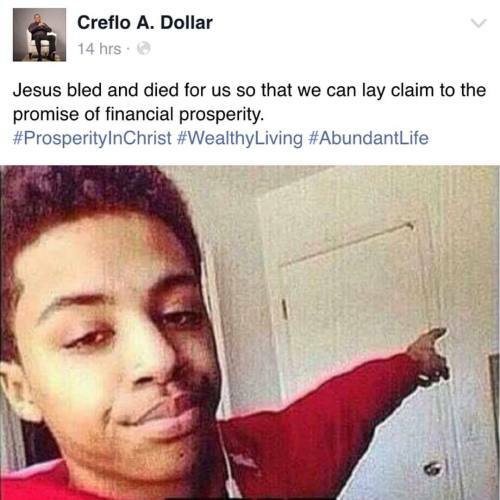 For example, televangelist Creflo Dollar set up a crowdfunding campaign for a $65 million private jet. Despite being heavily criticized for this seemingly selfish desire and removing all traces of the campaign days later, he still got enough donations to secure the plane. I believe in tithing, as it shows my faithfulness to God. At the same time, I also believe in knowing where my tithes are going. 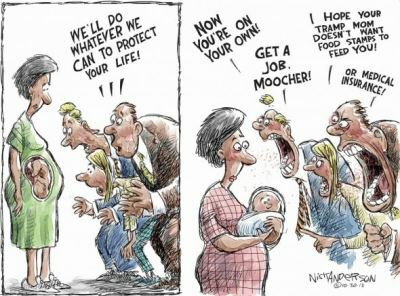 Are we caring for the poor? Are we funding missions trips? Are we investing in our youth? Or are we funding the pastor’s private jet? 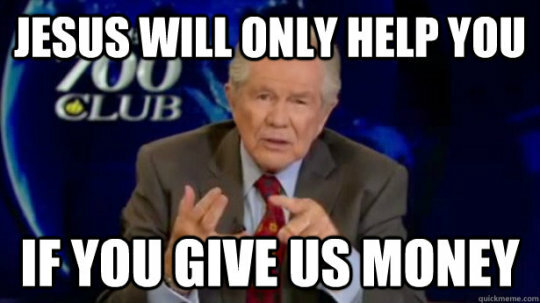 The HBO show Last Night with John Oliver did an amazing investigation on Televangelism that showed how these preachers exploit people’s faith in God to gain wealth, as well as how easy it is to set up a tax-exempt religious organization in the US in order to do so. While it probably offended those whom have consumed the proverbial “Kool-Aid” of the prosperity gospel, quite a few of my Christian friends shared it on their social media pages, as did I. Do I believe that pastors should be properly compensated for their work? Absolutely! I’ve worked in ministry in some capacity for most of my life, and I know that it is a stressful role to take on. I celebrate when preachers prosper in their finances, and I don’t agree with the poverty mindset that believes pastors should be poor. However, I don’t celebrate when these ministers care more about their wealth than the people they are here to serve. It all comes back to heart posture. Are you in ministry because you have a heart for the people, or are you in it for the personal gain? The Word says you can’t serve God and money at the same time. Which one will you choose? Keep in mind: you can’t take any of it with you when you leave this earth.